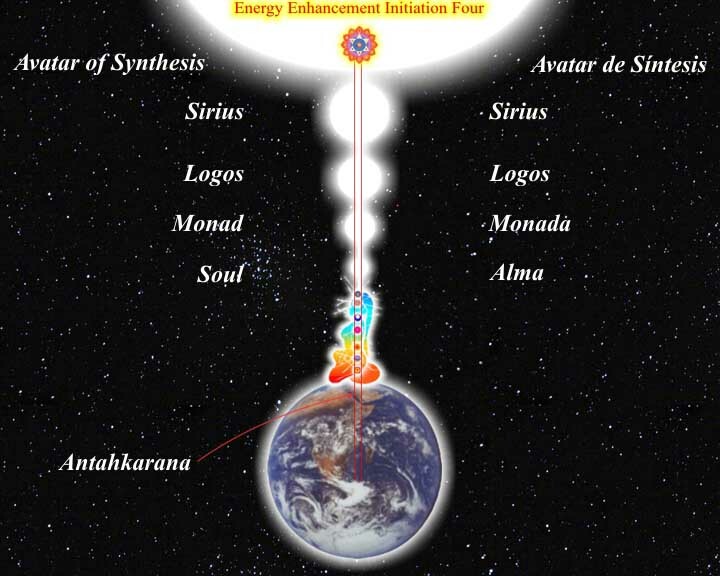 the communication of HUMAN ENERGY and chakra programs. "As we think, so we become. As within, so without." "As the company, so the influence." "As the influence, so the personality." "As the Personality, so the life experiences." We are souls having a human experience. According to many Enlightened beings we have already had lots of these human lives and we will have lots more. So it's highly appropriate and wise to spend some time reading "The User's Manual of The Human Experience." 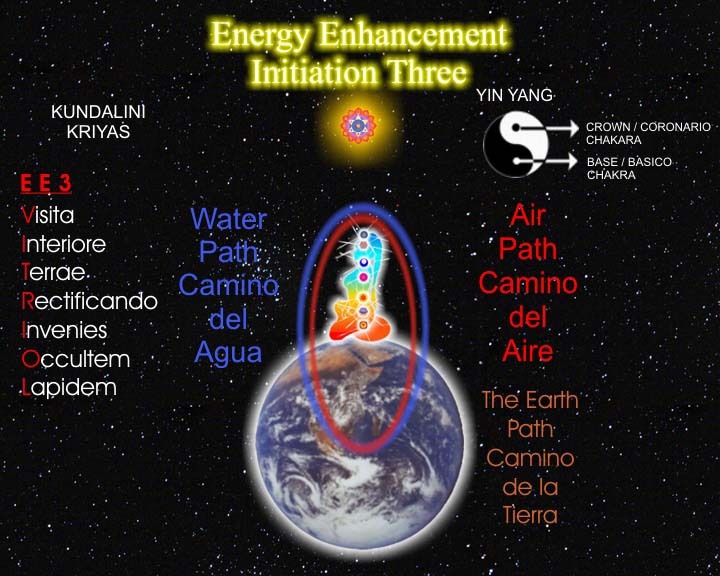 Energy Enhancement is one such manual based upon the original texts of the ancient system of Yoga. First find "the kingdom" (get enlightened) then the rest will follow naturally. Put the soul in control then all will be well. Then we can live a good, wholesome, and healthy life which will benefit all. The human experience is created from the interaction and interactivity of seven major chakras. Each chakra represents an area of the human experience. Taken all together we call the seven major chakras - The Total Human Mind. It is the expressions and functions of these seven major chakras that produce the overall human experience. It is our attitudes and relationships with our chakras that create the type of mindstate that we have, the type of experience we are having. We call our attitudes and relationships to our chakras by the label - "chakra programs." Another word for our total mindstate, the combined chakra programs that are running in a person at any given time, is "personality." Therefore, the personality as expressed through the chakra system is the soul's interface with the world. Exactly like a computer, we run different chakra programs and get different life experiences - different personalities. Some chakra programs are positive and healthy and some chakra programs are negative and unhealthy. If we run healthy chakra programs in all our chakras then we experience a healthy, nice, good personality. If we run unhealthy chakra programs then we experience a negative, nasty, bad personality. You will have noticed that people's personalities are varying and different. Personalities can change, but the experiencer of the personalities - the soul - remains the same, constant, the observer and the learner. That is why, when we get things wrong, when we experience a negative personality within ourselves, some enlightened people say "Don't blame the soul, blame the personality." The soul is always pure, but our personality often does not reflect this purity because of our ignorance, our lack of knowledge and skill to control the personality, the tendency for the ego (the totally selfish part of the mind) to take control of the personality, and because there are many problems and pitfalls that can and do mess up our developing personality. Then the personality is out of the soul's control. The uncontrolled and untrained personality goes around running all these rubbish and harmful chakra programs and everyone is in trouble because of it. On the path of conscious self mastery we aim to change our negative programs for positive and life affirming ones, and put the soul back in control. The soul is always pure and divine, always in tune with the Higher Self (the Universal Spirit), always naturally good. So once we put the soul back in control, then all good qualities naturally emerge and we say that the personality is "healed." 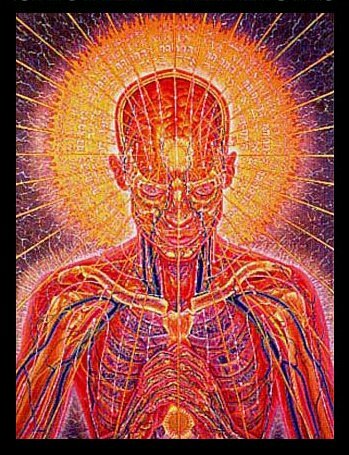 What's all this got to do with "Vibes", Auras, and the communication between people? Well, a very great deal indeed my dears!! As we begin to understand the chakras, the human aura, the concept of ego, personality, the concept of re-incarnation, the soul's journey, and other important spiritual concerns, then we soon begin to uncover a new dimension to life - THE CONSCIOUS AND SPIRITUAL DIMENSION. As we become more aware of this dimension then we become increasingly sensitive to the personalities of other people. This is called "an increase in awareness." We simply become more aware of that which we may have had an intuitive feel for but could not quite clarify. As we become more sensitive to other people's aura / energy, then we need to learn the crucial and essential lesson of AURA PROTECTION. We need to learn how to defend ourselves from egocentric, non-spiritual, negative, and harmful personalities. For example, sometimes we meet somebody and we get on very well indeed and form a lifelong friendship. How wonderful! Sometimes we meet people and suddenly we feel very uncomfortable indeed. "They gave me the creeps," we say. Why should this be so? Well it's all very simple indeed. Each soul has developed a certain personality and each personality is an expression of the combined chakra programs running at that time. As we have mentioned before, some people are running healthy, happy, and good chakra programs and if we are doing the same then we will "get on" with that person. Our energies will harmonize. There will be a healthy and happy flow of energy between each person. Of course this works both ways and there are many occasions when we just don't harmonize with another person. This is because both people are running quite different chakra programs - their personalities are too different to get along with each other. Sometimes the differences are obvious and we can adapt to the situation. But sometimes, especially in close, personal, and family relationships, there are things going on which are difficult to clarify. This is because in intimate, family, or romantic relationships our boundaries are often a little blurred. This is because each person's Aura has closely interacted with the other. Chakra programs can be unconsciously transferred from one personality to the next. We begin to unconsciously think, feel, act, and behave like the people we are surrounded by. We take onboard other people's opinions, attitudes, and belief systems. This is especially strong within our childhood and adolescent stages, but the process can continue throughout our lives if we are not aware of it. Attitudes, opinions, and chakra programs become more visible the more we get to know somebody. Strong and forceful personalities can tyrannize weaker and less forceful ones. Seductive and manipulative personalities can control more open, impressionable, and gullible ones. We feel that although a person is speaking one thing, other aspects of their personality show that they are not speaking their truth. This can be very confusing and upsetting for everybody. We can pick up on the direction of somebody's intent or motivation although we know that they would deny it if we brought our opinion into the open. 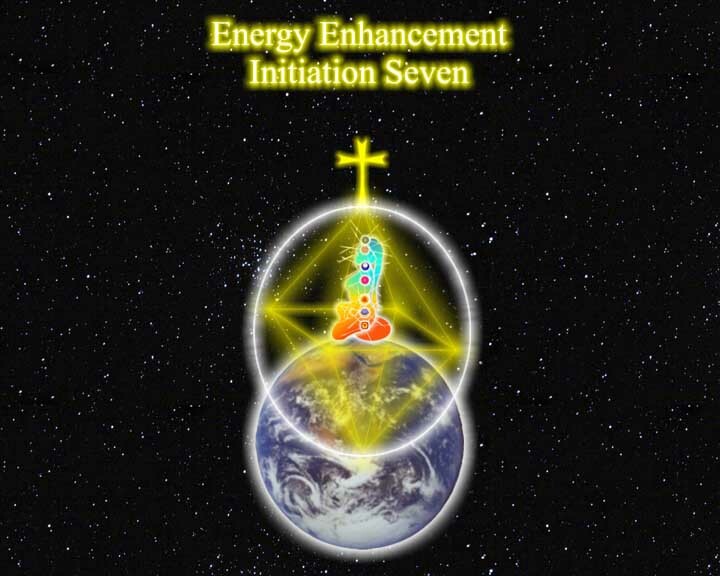 Without the wise knowledge that Energy Enhancement provides we can easily get lost in the darkness of human relationships. We find this, often unconscious, transmission of emotional atmospheres very common in all arenas of life, but it is especially strong in the family environment. When we interact with another person, we interact energetically, as well as physically and verbally. The energetic, auric, vibrational ("vibes"), atmospheric interaction occurs as the transmission and interactivity of chakra programs. For example, if we interact with a depressed or manipulative person, we will feel uneasy, unhappy, fearful, and confused during and after the interaction. This "invisible" (esoteric) communication involves us at the level of our chakras. We can be saying one thing and feeling quite differently. This is why the "invisible" communication - these chakra connections - can be disturbing and confusing when the process is not understood properly. But we have the light so we will be alright. 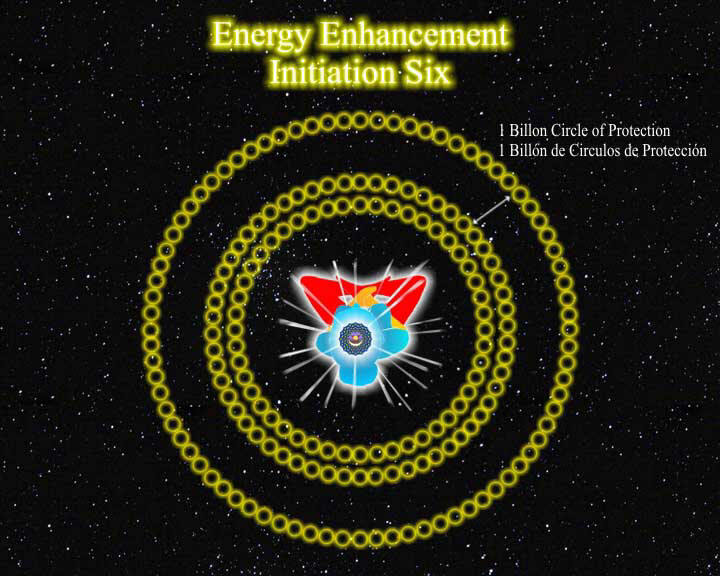 With The Techniques of Energy Enhancement will shall overcome all this darkness. ENERGY ENHANCEMENT TEACHES US HOW TO UNDERSTAND AND MASTER THE PROCESS OF HUMAN RELATIONSHIPS AT THE DEEPEST LEVEL.